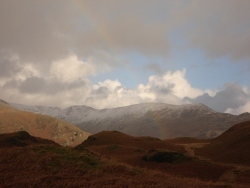 Start with a marshalled trek over mighty Fairfield and Helvellyn, before descending down into Glenridding for a quick drink and food stop, before the next stage – our row to our overnight camp. You will prepare dinner, and pitch tents before getting a good night's sleep on the banks of Ullswater – the Lake District's most beautiful Lake. On day 2 we shall set off on foot once more, for a rapidfire ascent of Place Fell for stunning views over Ullswater once more. Then it's on to the bikes for the final stage of our multi sport event. 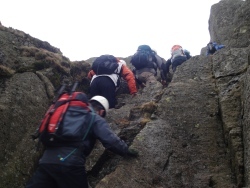 We set off climbing hard up and over the famous Kirkstone Pass – historic, scenic, but mainly punishing work for us! We then descend down into Ambleside and around the Western Side of Windermere, then beside Esthwaitewater , passing through Near and Far Sawrey, before our final crossing of Windemere on the ferry back to Bowness. Morning trek, afternoon bike ride and depart for home.